Assyrian author and political scientist, Prof. Joseph Yacoub, has been awarded the Sélyre Prize for his latest literary work in France. Some Dignity for Women, Please! that our voice is rarely heard in international bodies where our years of abuse in the Middle East might create conditions for informative discussion. Thanks, however, to the persistence of the Assyrian Academic Society, and its determination to establish a cooperative relationship with other organizations and individuals, the Brussels-based Human Rights without Frontiers (HRWF), a member of the International Helsinki Federation for Human Rights, spoke on our community's behalf in Geneva, both publicly and in a pre-arranged meeting with the Special Rapporteur on Iraq. This advocacy work, spearheaded by the Assyrian Academic Society, needs the support of all of us who are frustrated about our ability to affect political developments. In Diaspora, we can do more than bite our nails and each other. We can take political steps that will lead to our "knocking on the door of the White House" and other sources of political power. Here is the e-mail address of the Assyrian Academic Society when you too are ready to do something more than lament: info@aas.net. The statement that the HRWF made on behalf of our community was delivered by Dr. Nadja Milanova. It was the only statement about any situation in the Middle East. She spoke eloquently to our problem as the indigenous people of Iraq, having conducted a research trip to Iraq at the time of the Baghdad conference in October 2003. She also has worked closely in the dissemination of the report on the ChaldoAssyrians of Iraq (February 2004). For the report of HRWF following the trip in 2003, click here. Nadja Milanova of International Helsinki Federation for Human Rights, said indigenous peoples could be defined as conquered descendants of earlier inhabitants of a region who lived mainly in conformity with traditional social, economic and cultural customs that were sharply distinct from those of dominant groups. The attention of the Commission should be drawn to the ChaldoAssyrian community of Iraq in this context. The rights of the small ethnic and religious communities of Iraq had received very little attention, and today were being set aside in the effort to create major ethnic power enclaves. The Commission should request the United Nations Special Rapporteur on the human rights of indigenous peoples and the Working Group on indigenous populations to monitor and report on developments in Iraq, and expand the mandate of the Special Rapporteur on Iraq to address issues stemming from the ethnic and religious diversity of Iraq. The Assyro-Chaldean Voice visited Professor Joseph Yacoub, an Assyro-Chaldean in Lyon, France on Friday 9 April.. On this day, Professor Yacoub was to receive the Selyre Award from the Society of the Writers and of the Book of Lyon and Rhone-Alps for his remarkable literary work on the situation of the Assyro-Chaldeans in Iraq, titled “Menaces sur les Chrétiens d’Irak”, which has had great success. Professor Joseph Yacoub and his wife Claire Weibel Yacoub (who is the author of numerous articles on the Assyro-Chaldeans, and who is working on the role of Sourma Khenem during the First World War) welcomed the Assyro-Chaldean Voice at their home. We had finally the occasion to interview Joseph Yacoub on the situation in Iraq, on the present and the future of our people, on the revolt in Syria and other pertinent subjects as the admission of Turkey in the European Union, our young people and the national and identital awakening as well as the dialogue of the Assyro-Chaldeans with the other communities in Turkey. You can listen (and soon look) to this interview on the website of the Association of Assyro-Chaldeans of France. A year ago on the same day, the American troops penetrated into the heart of the Iraqi capital, Bagdad and Saddam Hussein ran away northward. He was arrested on 13 December 2003 by the American forces, in a "hole with rats", some months after the death of his two sons Khodaï and Koussaï during a secret operation led by the help of the Kurds. The American armed intervention against Iraq took place on 21 March 2003 in the evening. Twenty days later, Saddam was forced to flee, abandoning the country to the Coalition forces. All his statues and icons had been removed or destroyed. From the day after the arrival of the American armed forces to Bagdad, the population began to plunder ministries, stealing useful objects on their passage. Museums had been plundered and numerous Assyro-Chaldean antiquities had been destroyed and stolen. During the evening of Kha b'Nissan 6753, last year, the Assyro-Chaldean Voice questioned Prof. Joseph Yacoub about the utility of the armed intervention. The Assyro-Chaldean intellectual was worried by this inequitable war, which was criticized by the international community. Besides, the war motive, that was the existence of the weapons of mass destructio (WMDs), was not established by the experts. France, Germany and Russia were against the armed intervention and Turkey, traditional ally of the Americans, had refused to open its territory to the American forces, creating a diplomatic incident between the United States of George Bush and Turkey of the moderate Islamists. The American president, snapping finger at remarks and critics, had decided to lead his war against Iraq. 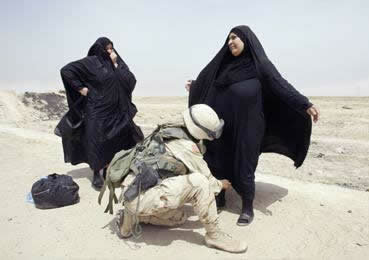 The war lasted some weeks and Bagdad fell in the hands of the allied forces. One year has passed; the situation seems worrisome and it seems that the occupation of Iraq is transformed into a new Vietnam. The question is thus quite clear: Did the Americans succeed in their gamble and reach their objective? One year ago, the American soldiers were welcomed as liberators by the Iraqi people, finally freed of Saddam Hussein. Today, the Americans are not any more the liberators, but the occupants of a land. They are perceived as invaders who only want to take away from Iraqis their wealth and their independence. The situation is such as we see on some websites caricatures representing Shiites destroying statues of George Bush just like what made the American soldiers one year ago with Saddam Hussein's statues.What did Joseph Yacoub think of the current situation in Iraq? His answer was without ambiguity: "Everything is going badly! The war has sown chaos among the population. Although the people are free today, the fear gains ground. The Americans were not able to bring the peace and the union they had promised. The various ethnic and religious constituents are striking between themselves and against the Americans. Each one wants his piece of the cake. In the North, where the Kurds want to establish a Kurdish State, the relations between the Arabs, the Kurds, the Assyro-Chaldeans and the Turkmens seem difficult. The Shiites, who are the majority religious constituent of Iraq, rebel against the Americans, provoked by individuals like Moktada Sadr. They ask the Americans to leave their territory to establish their own hegemony there and make reign their law. The Americans promise the transfer of the sovereign power on June 30th, 2004." The Assyro-Chaldean Voice asked Prof. Yacoub about the situation of Assyro-Chaldeans. He commented: "One thing is certain - Assyro-Chaldeans of Iraq not only think of their own interests, but also of the interests and the unity of all Iraqis. The statements of the new patriarch Mar Emmanuel III Delly and the communiqués of the Chaldean bishops show that Assyro-Chaldeans of Iraq do not want the division, rather the unity of the Iraqis, and peace among the various ethnic and religious constituents. The fear of Assyro-Chaldeans of Iraq is not the same any more. Before, they were afraid of Saddam Hussein's pursuits, of the murderous embargo, of the murders and the disappearances, of the assimilation by arabisation. Today, the threat is quite different and its name is Moslem extremism. We represent only 3 % of the Iraqi population and it is necessary to hope that we shall have a place in the future of Iraq." Assyro-Chaldean leaders fight for our representation and for the defence of our rights. Among them are Patriarch Mar Emmanuel III Delly of the Chaldean Catholic Church and, Yonadam Kanna, the charismatic leader of the Assyrian Democratic Movement, who is also one of the 25 members of the Iraqi Governing Council. ADM (Zawaa) has faught for the defence of our rights since 1979. Mar Delly disseminates messages of peace and his bishops make statements calling for the unity of the Iraqi people. Mar Delly is the successor of Mar Raphaël 1st Bidawid, who died some months after Saddam Hussein's fall. As for the political role and the influence of Yonadam Kanna, Joseph Yacoub seems very satisfied with the performance of the leader of Zawaa: "He does everything in his power to defend the civil and political rights of the Assyro-Chaldeans. It is necessary to remind that he is not the only member of our nation who occupies a significant post within the Iraqi administration. These men and women work for the prosperity of our community, but also that of Iraq, and we have to be grateful to them for the work which they make in everyday life." Yonadam Kanna was a member of the twenty five members of the Iraqi Governing Council who signed the transitional Iraqi Fundamental Law. We asked Joseph Yacoub if he thought this fundamental law would guarantee the rights of the indiginous people of Iraq and if it was a permanent or temporary law, until the Americans leave Iraq so as the Iraqis can draft their own constitution. Prof Yacoub noted that "the fundamental law which was signed recognizes only the Kurdish and Arabic entities and does not mention the Assyro-Chaldeans. Our guarantees are limited to a linguistic freedom. Moreover, the schools seized under Saddam Hussein's regime were returned to our people and the Aramaic language is going to be taught in the universities. As for the permanent or temporary character of this law, it is indisputable that it is only temporary. The situation in Iraq seems worrisome. It is necessary to wait for the transfer of sovereign power to see that will happen to this fundamental law." The renowned political analyst and specialist on minorities' affairs, Joseph Yacoub, did not seem optimistic about the future of Iraq, considering the current state of things. The federal system for Iraq does not seem ideal to him if we can speak about an ideal. He would rather sway to a unitarian but democratic state, respectful of human rights.Prof Yacoug: "the region is shaken by various conflicts and the other countries are not protected against the crises: the Kurdish revolt in Syria is the proof. The Assyro-Chaldeans of the region of Hassaké and Qamishli (Joseph Yacoub is native of Hassaké) tried to favor the dialogue between the Kurds and the government. Even there, we saw that Assyro-Chaldeans fight for the unity and not discord. "After a long interview which lasted more than one hour, during which several other subjects were noted, the Assyro-Chaldean Voice accompanied Joseph Yacoub in the lounges of the City Hall of the city of Lyon, where he received the Selyre Award from Jean Etevenaux, president of the Sélyre, for his book, "Menaces sur les Chrétiens d’Irak". (ZNDA: Damascus) The Syrian Minister of Culture, Dr. Mahmoud al-Sayyed, inaugurated the al-Assad Library in Damascus this week where the 3-day Conference of the Syriac Heritage is being held. The conference is sponsored by the Ministry of Culture and the Lebanese Center for Oriental Studies and Researches. Attending the Conference, titled "Syriac as a Turning Point: Biladul Sham Experience in the Omayya Period", are Assistants to the Minister of Culture, His Eminence Patriarch Zakka I Iwass, Patriarch of the Syrian Orthodox Church; Patriarch Mar Ignatius Butros Abdul Ahad, Patriarch of the Syriac Catholics, Patriarch Gregorius IIV Laham of the Roman Catholics; Archbishop Youssuf Anis Abi Ad, Representative of the Maronite Patriarch Nassrullah Sfeir and a host of Christian clerics and invitees. In his speech, the Minister of Culture welcomed the participants to the Conference, stressing that Syria was and will continue "under the leadership of President Bashar al-Assad to enhance civilized, human values out of its humanitarian nature and glorious history." The Minister pointed out that the role of the Assyrians was important in building the Arab civilization in the Omayyad period and was even deeper, more important and comprehensive in the following Abbasid period. He indicated that this Syriac importance was not only confined to translation from Assyrian and Greek into Arabic but also several Syriac scientists contributed with their intellectual products to enriching various branches of science, particularly in the fields of medicine, philosophy and astronomy. For his part, His Eminence Patriarch Zakka I Iwass of Antioch and All Orient for the Syriac Orthodox said it is a source of pride that Damascus hosts a conference that reminds the world of the history of Syria and those glorious ancestors who were the pioneers of civilization and sciences…. who paved the way to development, prosperity and the messages of the heavenly religions. His Eminence asserted that the convening of the Conference in Damascus symbolizes the freedom of thinking and scientific research in Syria, and an evidence of the firm national unity as developed and protected by the great late leader Hafez al-Assad and continued under the leadership of President Bashar al-Assad. Father Maron Atallah, Head of the Oriental Center for Studies and Researches, talked in his speech about the topics of the Conference as well as future activities of the Center, including a news series titled "Syriac Fountains" along with its translations into Arabic, English, French and other live languages. Later, the Conference held its first sessions with two lectures by the Researchers Samir Khalil of the Christian Arab Heritage Center in Lebanon, and another by Dr. Faissal Abdullah of Damascus University. (ZNDA: Montreal) An Assyrian-Canadian aid worker freed by his Iraqi captors last Friday in the holy city of Najaf said he was "miserable, desperate" and beaten by those who kidnapped him on April 7 because they suspected he was Jewish. "At first they beat me, then they kept moving me to different locations every few hours," Fadi Fadel said moments after being freed. "They accused me of being a Jew." Another problem was that those who seized the 33-year-old Montrealer from his bed in a compound run by his New York-based employers, International Rescue Committee, was that they apparently did not believe that Fadel really was a Canadian. Canada's embassy in Jordan worked through intermediaries in Iraq to establish contact with Fadel's abductors, a previously unknown group calling itself Ansan al-Din. The embassy in Jordan provided the intermediaries with information which proved Fadel was a Syrian-born Assyrian Catholic who emigrated to Canada in 1990 and has been a Canadian citizen for several years. In taped comments after his release, Fadel said he was "doing OK."
"I'm in great company, I've had food and am getting washed and getting new clothes. So I'm pretty happy." Back home in Laval, Quebek., his family cheered the news. And, as a tearful Roueida Fadel stood outside her home recounting a surprise telephone call about 11 a.m., her husband Ihsan Fadel shouted to his wife: "Come, come!" She rushed inside to see images of her smiling son on an all-news channel. After seen the TV images, she said he "looks well, he's smiling and laughing -- the way he was the last time I saw him. He seems in good health. He has a little beard. I guess he hasn't had time to shave. "I want to see him here in this house. He will rest a little with us and we can discuss what he will do next," Roueida Fadel said. "We stayed optimistic through prayer. We had hope," she said. At first Fadel's capture received little media notice in Iraq and across the Middle East. Arab media were focused on the twin uprisings against the U.S. occupation in the Sunni city of Falujah and several cities in Iraq's Shia heartland and the dramatic videotape of three Japanese hostages with knives held to their throats. Tens of millions of Arabs learned of Fadel's plight when Al-Jazeera, the hugely popular Qatar-based Arab satellite news network, agreed to let Foreign Affairs Minister Bill Graham speak with them about his case Tuesday. There may have been a connection between Fadel's release and a sermon several hours earlier at Friday prayers in Najaf where fugitive Shia cleric Moqtada al-Sadr told thousands of his devoted followers that they should not mistreat those they kidnapped and that they should release any hostages who came from a country that was not part of the U.S.-led military coalition in Iraq. There remains some confusion over exactly how Fadel was freed. Some wire service accounts said he had been released at al-Sadr's office in Najaf, which is in a medieval district of the holy city. Other reports said that Fadel had been handed over to al-Sadr's representatives in a cemetery in Najaf and then taken to al-Sadr's office. Graham said Friday the government is trying to ensure that the final phase of Fadi Fadel's liberation from Iraq isn't compromised by the U.S. marines who have their weapons trained on the Najaf compound where he has found refuge. Some 2,500 American troops are massed outside Najaf in a tense standoff. Graham said there are two or three options under consideration to get him safely out of Najaf, and eventually Iraq. He would not get into the details and wouldn't say whether he has spoken to U.S. officials to guarantee Fadel's safety. "There's no immediate problems with his present security. Obviously leaving and travelling becomes complicated and dangerous in Iraq. So we want to make sure he travels by a route, and by a means, that is most secure," said Graham. Graham said he's convinced that the Ottawa's Arab media blitz secured Fadel's release. Prime Minister Paul Martin called Fadel's brother just before noon Friday to confirm media reports that he had been released. "I told them how happy I was," Martin told reporters in Toronto. As of Friday night, there was still no word about Nabil George Razuq, a Palestinian Christian who was seized at the same time as Fadel. Three Czech journalists were released by their captors Friday, but a Danish businessman was kidnapped Friday on a road north of Baghdad and a Jordanian-born business man on a United Arab Emirates passport was seized by men posing as police officers at a hotel in the southern city of Basra. Earlier in the week, the U.S.-led Coalition Provisional Authority in Iraq said 40 foreigners from 12 countries had been kidnapped. "From a security point of view, it is not in our interest to provide a tally here of how they (the kidnappers) are doing," because to do so might advertise whether they were being successful or not, said Dan Senor, the CPA's top spokesman in Iraq. There might be some "loose co-ordination" between some of the groups kidnapping foreigners, but the U.S. military did not know if there was a co-ordinated campaign to seize foreigners, Brig.-Gen. Mark Kimmitt said Friday. The U.S.-led coalition was doing all that it could to find those who had been kidnapped, Senor said. (ZNDA: Modesto) Frances Tellez's face is worried as she bends over her bingo card, among 300 other gamblers packed into the Bet-Nahrain Assyr-ian Cultural Center on a Wednesday night. Her mind is on her nephew, a Marine fighting in Iraq. "It's hard. It's harder for his father, his parents," Tellez said. Her silver necklaces spill over a T-shirt from the Marine battalion to which Lance Cpl. Joseph Tellez, 19, belongs. Last time Tellez wrote, on March 20, he would not say where he was. But the 1st Battalion, 5th Marines, 1st Marine Division, based at Camp Pendleton, is reportedly in heavy fighting in Fallujah. Tellez was not the only person in the Bet-Nahrain building whose mind was on Iraq. 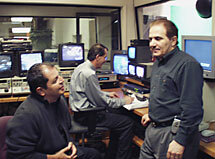 The bingo games support AssyriaSat TV, whose broadcasts reach into Iraq, where Christian Assyrians are a minority of the population. Sargon Dadesho, 55, is Bet-Nahrain's president, and runs AssyriaSat TV. He also heads a political party, the Assyrian National Congress, that is active in Iraq. When U.S.-led coalition forces picked an Assyrian to serve on Iraq's Governing Council, they did not pick one from Dadesho's party. They chose Yonadam Kanna, the head of the Assyrian Democratic Movement. Both parties openly opposed dictator Saddam Hussein for his persecution of Assyrians in Iraq. And both say they seek an autonomous Assyrian region in Iraq. But Dadesho has harshly criticized Kanna's party on the air. 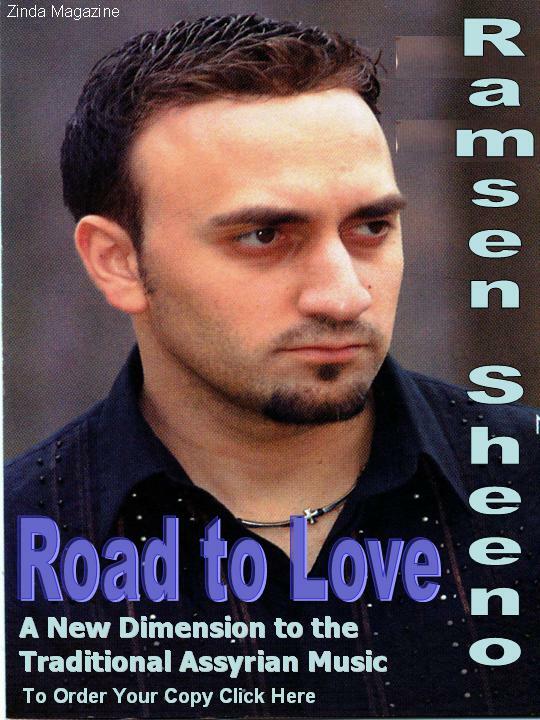 "We talk about the fact this guy abandoned the Assyrian national cause," Dadesho said of Kanna. That's the kind of TV programming that angers Nahreen Toma, 45, of Ceres. "In the Central Valley, we are being torn apart by the propaganda," Toma said. Her family supports Kanna, the Christian representative on the Iraq Governing Council. "If they call this political propaganda, so be it," Dadesho responded. The Iraqi Governing Council's temporary laws, passed this spring, provoked Dadesho's anger. He led a group that carried picket signs to Sacramento last month, accusing the Governing Council of "ethnocide" against Assyrian culture. The laws did not recognize Assyrians as a separate nationality, he said: It called them "Chaldo-Assyrians." "We are purely Assyr-ian," Dadesho said. "This is our national historic identity, given by God." Not all local Assyrians find the new laws offensive. Ashur Shiba, 24, of Modesto, supports Kanna's party. "We're all one people," Shiba said of Iraq's Christians, who include Assyrians, Chaldeans and Syriacs. Dadesho said he didn't see any problem with using the bingo-supported AssyriaSat TV as a political platform. As a nonprofit, educational station, AssyriaSat has to stay neutral in U.S. politics, he said. "But speaking about politics in the Middle East, Assyrian politics, is not prohibited. We don't urge people to be militant or terrorists or fight." "We only urge people to know their history and their culture," Dadesho said, "and to unite under the leadership of the Assyrian National Front," a coalition of parties that plans to nominate a candidate for Iraq's presidency. While the bingo numbers flashed on lit boards in Bet-Nahrain's front hall, Dadesho sat in his TV studio in the back of the building, overseeing broadcasts of music videos to Iraq. "We need the American troops to remain in Iraq as long as possible," he said. "I'm afraid if the American troops get out, Iraq will disintegrate. That would be the end of the Assyrians there." In his house a mile and a half from Bet- Nahrain, Rick Tellez has posted a sign in his front window: "Support Our Troops." He leaves his cell phone on night and day in case his son calls from Iraq. "It's nerve-racking," said Tellez, 42. "His mom and I, his whole family, have been losing sleep. We're thinking about him every day. "He's doing what he wants. He's a patriot," Tellez said of his son. "I support him all the way, and I support that we're there, but I think now we need to let them (Iraqis) have their country back." He doesn't want to see the troops get stuck in a civil war, he said. But if they leave too soon and "another thug" comes to power, "kids that have lost their lives will have died in vain." Of the Assyrian Christians, he said, he knows they were persecuted under Saddam. He did not know Bet-Nahrain and its AssyriaSat TV were in a dispute among Assyrians about Iraq's political future. "It's so strange, that it's right here in this little town in California," he said of the controversy. Thursday night he still was waiting for word from his son, who finally called Friday morning at 2. "He's OK," Rick Tellez said after the phone call. "But he's in a hot zone." The Marine still couldn't say where he was. But he described how the troops blasted loud music to taunt the insurgents, his father said. The Associated Press reported Friday the Marines used that tactic in Fallujah, more evidence for his family that he is there. (ZNDA: Seoul) Christianity was believed to have been introduced to Korea around the late 18th century through Roman Catholic missionaries, until now. A local museum finds the religion reached the peninsula much earlier, between the 7th and 8th centuries during the reign of the Unified Silla Kingdom. The history and development of the Christian faith is followed by 48 percent of the Korean population. The Korean Christian Museum at Soongsil University in Seoul is a place where visitors can explore the history and culture of Christianity in Korea at a glance. The museum, which reopened four years ago, does not try to convey a religious message rather it strives to tell the story of how the religion helped develop Korea's astronomy and geography soon after officially reaching the peninsula around the 17th century. “Christianity, the astronomical map, and the brass globe have a very close relationship because we try to introduce Christianity as not just a mere religion but as something that brought in Western ideas to Korea. Both the map and the globe indicate that Koreans became more aware of their surroundings"
The curator adds that Christianity is also a culture and that its earliest influence can be seen through a vast collection of relics brought in through China during the Unified Silla period between the 7th and 8th centuries. Take a look at the Statue of the Virgin Mary and the Nestorian Stone Cross which was presumably introduced around then. "In the past, Christianity emphasized not only faith but also educated the people and offered them medical services. It also encouraged the illiterate public to learn the Korean alphabet." Historical Christian materials also show God and his angels wearing the traditional Korean hanbok in what is seen as an attempt to familiarize the public ignorant of Western ideas and concepts. These early attempts helped establish Christianity as a popular belief, which eventually led to its contribution to Korea's fight for independence in the early 20th century. The recent declaration issued by the heads of the Assyrian Church of the East, Ancient Church of the East and the Syrian Orthodox Church in Iraq, dated 27 March 2004 and published by the websites of ‘Ankawa’ and ‘Bet Nahrain,’ touches upon the issue which is most critical to the Assyrian people at this juncture – that of its name and identity. The recent turn-of-events in Iraq and the recent confirmation of the provisory Iraqi Constitution have brought us all to reflect deeply on our identity as a people and nation. Though a minority in Iraq in terms of numbers, as the indigenous people we have full and equal rights with all other ethnicities and peoples living in that country. Many efforts and initiatives have favored and brought about the categorizing of the Assyrians and Chaldeans in Iraq under the composite name ‘ChaldoAssyrian,’ with its variant spellings in use. There have been many arguments going back and forth, against and for the use of the composite name in the Constitution, which are all too familiar with Zinda readers and which we will not enumerate here. The point of this intervention is to back the opinion expressed in the above-mentioned Declaration by the heads of the three Syriac-speaking Churches with regard to the drawbacks and disadvantages of using the composite name ‘ChaldoAssyrian.’ While we acknowledge and realize that both the Assyrians and Chaldeans have the same roots ethnically, linguistically and ecclesiastically, the vicissitudes and circumstances of time and persons have caused us to identify exclusively with either name as one’s own and proper identity and ethnicity. In the recent course of events it has become clear that the composite name ‘ChaldoAssyrian’ was intended to operate only as an umbrella term to bring the Assyrians, Chaldeans and Syriacs under one ethnic category in the Iraqi Constitution. Furthermore, it has been made clear recently by one of the heads of these Churches residing in Iraq in an interview aired in the US, that the name ‘ChaldoAssyrian’ was never and will never be the name of a living ethnic group, and it does not imply the eradication of the particular identities of ‘Assyrian,’ ‘Chaldean’ or ‘Syriac’ as distinct ethnicities. 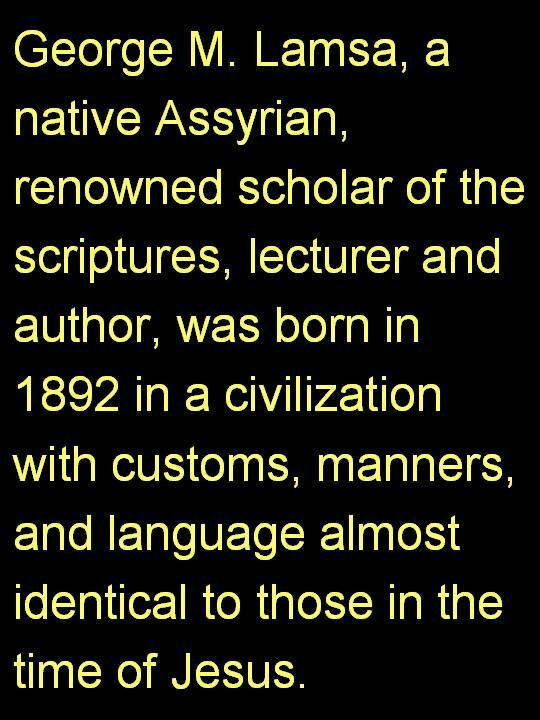 Furthermore, it is obvious that this umbrella term is not intended to unite the Assyrians, Chaldeans and Syriacs practically, nor does it imply their future existence as a one and united nation and/or ethnicity. This conclusion is made obvious and clear by the Church leader in his interview, and that the Assyrians and Chaldeans will continue to exist as two, separate peoples even when categorized as ‘ChaldoAssyrians.’ Therefore, since the composite name does not serve to practically and really unite us as one people, its use will be void of fruit and should be reconsidered. Mr. Chibo proceeds to cite Old Testament verses, in English nonetheless, to prove that "Pascha" and "Easter" must mean two different things. If Mr. Chibo had done his research into the history of English versions of the bible, he might have noticed that Coverdale's Bible, an English version predating the King James version by almost 100 years, in Ezekiel 45:21 reads " Upon the 14th day of the first month, ye shall keep Easter." Lo and behold! "Easter" was considered the correct English name for the Passover in 1535 England. I understand Mr. Chibo's desire to find an Assyrian origin to everything under Shamash, but really - this line of reasoning fails linguistic, scholarly and especially scriptural tests. Pascha means Passover in the original Hebrew, Aramaic and even Greek. It never means anything else - no matter what late English translations may or may not say. I challenge Mr. Chibo to find any other reference to this word being used to descibe any Pagan holiday - otherwise, I kindly suggest that he retract such statements as being unworthy of his scholarly reputation. Couldn't the Americans employ a female to search the women in Iraq at the check points or any where else ... or do they accept that from others to treat their citizens and army with no dignity? What is AAHL? It is a society whose mission is to contribute to the advancement of the Assyrian community by motivating and assisting in pursuit of formal education, providing mentoring, guiding the youth, and promoting cultural awareness. We want to meet with our community’s parents, professionals, students, and leaders to become partners in shape our children’s future. Our children are the most important asset we have for the future of our family and our nation. Come in and meet with us to share ideas and build a new foundation for our families and our nation. God bless you all and our nation. Disclaimer: AAHL does not have any affiliation with any Religious, political or social organization. AAHL will work with any or all organization with equality, and mutual respect and without any bias. This year's Human Race Walkathon will be held at the Shoreline Park, 3070 North Shoreline Boulevard in Mountain View, California on Saturday May 8th at 8:30 am. To download the registration and pledge form for the 5 kilometer walk please click here. All participants will receive a t-shirt and a gift. If you are not able to join us, you can still make a pledge to sponsor the participants. Please make your check payable to the Human Race and mail it to the address below by April 29th. National Semiconductor is again sponsoring our chapter this year and will match all donations. We urge you to support this event which will fund the Assyrian Aid Society's Resettlement Project, recently established to help displaced Assyrians return to their villages. For more information regarding the registration or making pledges, please contact Jermaine Soleymani at (408) 460-4957 (jermaine.soleymani@nsc.com), or Nora Joseph at (408) 595-8516. British Academy, 10 Carlton House Terrace, SW1. British Academy Albert Reckitt Archaeological Lecture. Latecomers will be seated in an overflow room. British Museum WC1. Gallery talk, meet Room 56. The Nestorian lectures are held at the School of Oriental and African Studies (SOAS), Thornhaugh Street, Russell Square, London WC1H 0XG, United Kingdom. October Gallery, 24 Old Gloucester Street, WC1. £10/£5. Organised by the Enheduanna Society. 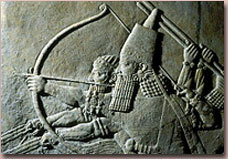 Different stories from ancient Iraq are told at each event. British Museum WC1. Gallery talk, meet Room 89. British Museum WC1. Gallery talk, meet Room 47. "Christian Angels on the South China Coast"
Foyer of the Khalil Lecture Theatre, Philips Building, SOAS, London, U.K.
An exhibition of photographs of Nestorian tombstones from the city of Quanzhou in Fujian province, South China. The tombstones are dated to the Mongol period of the 13th and 14th centures and have inscriptions in Syro-Turkish, Phags-pa and Chinese; the evidence from the inscriptions shows that some members of the Nestorian community came from Central Asia. Many of the tombstones have crosses on lotus flowers and some of them show flying figures supporting crosses. The iconography of the flying figures shows connections with he representation of apsarasas in Chinese Buddhism and angels in Seljuk and Mongol art (see K. Parry, 'Angels and Apsaraas: Christaina Tombstoens fro Quanzhou', TAASA Review [The Journal of the Asian Arts Society of Australia] 12/2, 2003). I read with exceeding surprise the letter addressed by the bishops of the Chaldean Church to his Excellency Ambassador Paul Bremer on September 3, 2003. In the beginning of their letter they say: “The Chaldeans are the descendants of the ancient inhabitants of Iraq whose land has been their home for thousands of years. Their ancestors embraced Christianity at the very beginning of its dawn, and the mountains and plains were studded with their towns, villages, monasteries and churches. During the last decades thousands of them immigrated or were compelled to immigrate because of the oppression and grievances that befell them Their towns and villages were devastated, in equal manner as those of their brethren in the northern region, their private schools were nationalized, their culture was obliterated and their militants were pursued. In the third paragraph of their letter the bishops say: “In regard to their number and proportion, the Chaldeans form today (the third nationality) in Iraq and they follow immediately after the Arabs and Kurds. What is even more surprising is what they state at the conclusion of their letter: “We declare our reciprocity with all our fellow citizens in Iraq, the Arabs, the Kurds, the Turkomans and the rest of the (nationalities), and with our Christian brethren the Assyrians and Syrians in particular”. Now does this statement not express the incorrect allegation of the existence of more than four main nationalities in Iraq, and that the Assyrians and Syrians are but mere Christians? In their letter the bishops also say: “The Governing Council has been formed without a representative of the Chaldeans.” which obviously means that they (the bishops) do not acknowledge Mr. Yonadam Kanna, the member of the Governing Council as their representative while he himself believes he does. And in like manner they do not acknowledge Mr. Behnam Zaia Paulos, Minister of Transportation, who is a member of their Chaldean Church, as their representative. The late Patriarch Mar Raphael Beth-David, on occasions, used to say, “My grandfather was a Nestorian (Assyrian) priest.” Doesn’t this statement indicate that the grandfathers of the bishops, who have signed their names, were all Assyrians? None of them can prove that the designation “Chaldeans” ever existed before their conversion to Catholicism in the middle of the sixteenth century. I wonder if anyone is reasonable to alter his nationality according to the faith he is proselytized to, or t is possible for an Assyrian father to beget two children one Assyrian and the second Chaldean, or whether it is permissible for a person to change his national identity in accordance with circumstances! Why do they grumble at the name “Assyrian" even after it was moderated and made composite so as to be “Chaldo-Assyrian” for their sake? Is it not the same designation that was adopted and cherished by Bishop Sarhad Jammo when he was a priest in Detroit (Michigan), and which he later rejected and substituted it with “Chaldean”, being supported by Bishop Ibrahim Ibrahim who came to Iraq a few months ago to propagate it in vain as he faced a strong opposition from several faithful parties. 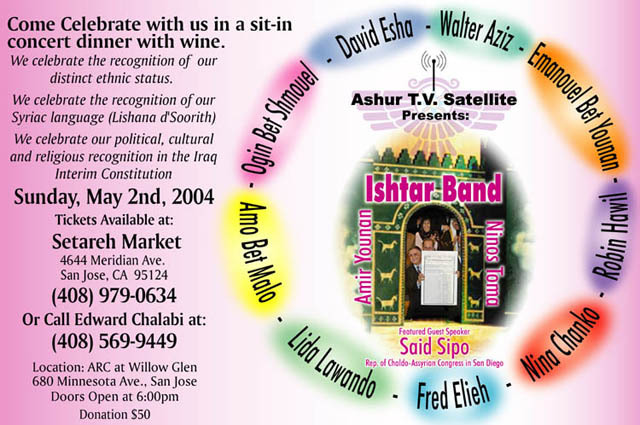 Then he ceded and accepted the title “Chaldo-Assyrian”, and this documented in a press declaration issued by the Democratic Assyrian Movement on June 2, 2003. Among those who opposed Bishop Ibrahim Ibrahim on his arrival in Iraq to propagate the designation “Chaldean” are the respectable elite who represent his Church in the National Council consisting of a number of the laity who represent the concerned churches (Church of the East and the Ancient Church, the Chaldean Church, the Syrian Orthodox and Syrian Catholic Churches). The above mentioned Council adopted the title (Chaldo-Assyrian) hoping that the “flock” would stick together under this composite designation which, unfortunately, was scattered like fine dust in the wind by the bishops. I am of the opinion that Mr. Bremmer will not consent to their insistent request because he realizes that to respond to such a claim will be interpreted as a grave interference in an affair that may result in the division of the people if Iraq into “nations” based on religious faiths or creeds. Would it not seem absurd and contradictory to logic to divide the Moslem Arabs into “nationalities” according to their different sects and beliefs? It is time we desist from cedings and dissimulations that do not accord with our Christians doctrines, and at the expense of the nation and let us proclaim: “We are Christian and members of the Apostolic Church of the East in which we all pride ourselves, and we are Iraqis and we have the honour of being the legitimate heirs of the great, deep-rooted civilization, and we are Assyrians, the descendants of those noble ancestors, the men of Nineveh who believed in God and proclaimed a fast (the famous Rogation of the Ninevites) for which our Lord Jesus Christ blessed us (Luke I 1:32). I most humbly, sincerely and earnestly entreat Their Holinesses, the Patriarchs of the churches that are of Assyrian, Mesopotamian origin (the Church of the East and the Ancient Church, the Syrian Orthodox and Catholic Churches) to make haste and express their opinion about the question with which we are all concerned, and at the same time I call upon my brethren the Bishops of the afore-mentioned Churches to hold a meeting to discuss this serious affair which calls for prompt action as it concerns us all. Baghdeda or Baghdede is a village in northern Iraq , 38 miles southeast of Mosul . There are many theories about the origination of the name Baghdeda beside the fact that it is pronounced and written in many forms. The strongest theory states that the name is from the Assyrian Akkadian "Bakdedo" (youth's home), later known by the Aramaic name "Beth Kdhudhe," which means the same as that of the Assyrian Akkadian. The name changed during the Sassanid Persian rule to "Baghdeda" (Persian "God's giving": Bagh or Beg is God or patron and Da is to give or giving). It was also pronounced as Khudedid or Beth Khudedid. In other times, Beth is shortened to "Ba", thus Ba-khudeda. In the 13 th century, Ba-khudeda was used by Arab writers like Yaqut (Mu'ajam al-Buldan) in which he defines it as: "a village but as large as a town, situated in Nineveh , east of Mosul , whose majority of people are Christians." Another old Aramaic name "Beth Deda" (the humble's home) has been found to reflect Baghdeda in three different 17 th century manuscripts. During the Ottoman Turks rule, the Turkish name Qara Qosh (black bird) came into use. Finally, and as part of the Arabization policy campaign, the Iraqi government changed the village name to Hamdaniya, named after the Arab tribe of Banu Hamdan, who has settled in the district. The Assyrians of Baghdeda became Christians during early Christianity. With the Christological disputes of the 4 th century, they followed the Nestorian teaching but switched to the Jacobite (Orthodox Assyrian) rite through Shapur al-Baghdedi in the 7 th century. Worth mentioning that Bartilla was Nestorian village as well; however, the efforts of Bishop Gabriel al-Sinjari, in early 7 th century, switched it to Jacobite as he held a special place at the Sassanid Persian royal court and King Khosrow (Khosru) II and his queen Sherin. Gabriel was a Jacobite; however, he switched to Nestorianism when he married a Nestorian woman. He then married two additional Magian wives that led to his excommunication by the Nestorian patriarch; thus, he joined the Jacobite Church for the second time. Gabriel was influential at the court of the king and his wife because he has cured the queen and she had a child after years of unsuccessful pregnancy. His influence was so great that he prevented the Nestorians from electing a patriarch for 20 years. Baghdeda's population is indigenous to the village; however, Assyrian Christians from other regions of northern Mesopotamia ( Assyria ) have moved to and settled in Baghdeda. In A.D. 1089, for example, the Church of Mar Ahodama in Tikrit (built before 10 th century) was looted and taxes on its Jacobite population became so unbearable that most of the Assyrian Christians left the city and the Jacobite Mapharian, Youhanna IV Saliba, followed suit and moved to Mosul . Of course, Mapharian is a title given around the 12 th century to the head of the Jacobite Church in the east as the representative of the Antiochean patriarch. Many of these Tikriti Christians moved to Baghdeda and later few Mapharians settled in it as well. Still, the town would be a great anthropological study with many rooted family names such as Assu, Ashu, Annu, Ausu, Ballu, Battu, Tammu, Toolu, Daddu, Rammu, Ritu, Shinnu, Shammu, Shnatu, Samdu, Saifu, Kasbu, Kannu, Mattu, Miru, Nooru, Noodu, Garmu, Lasu, and many other names that reflect Assyrian Akkadian influence. In 1580, certain Jacobites of Baghdeda began to build relations with Rome through the Monastery of Mar Bihnam, but it was not until the 18 th century that these Jacobites began to join the Vatican and became known as Syrian Catholics (Suryan Katholic). In fact, recently, the Dominicans celebrated 250 years of their presence in north of Iraq . There was much unrest between the new Catholics and the originally Jacobite Christians. It is reported that when a Catholic bishop Essa Mahfoodh went to see the Jacobite Patriarch Elias II Hindi al-Mosulli (1837 – 1847) in order to secure the division of properties between the two groups, he was received with insulting remarks. The patriarch told the Catholic bishop: "French (Papists), isn't it enough that you divided my people in Mardin and now you come here to Mosul as well to do the same thing here?" Backed by the French, the bishop went to Mohammad pasha, the Turkish governor, and presented his complaint to him. In 1837, the properties (churches and monasteries), manuscripts, and furniture were divided in a special manner between the two Assyrian denominations. The population of Baghdeda is around 30,000. Assyrian Christians make about 96% of the population. They mainly belong to the Syrian Catholic Church with a small percentage of Syrian Orthodox Church followers. The people in Baghdeda speak the Syriac language (Neo-Aramaic). Among linguists, it is known as the Neo-Aramaic dialect of Qara Qosh. In early 18 th century, the Persians invaded the Mosul region and most of the inhabitants of Baghdeda escaped to Mosul with all their valuables, in accordance to the governor's orders. Mosul was harassed and then sieged for months. However, the Christians defended it bravely and after months of blockade, the Persians finally signed a peace agreement with Mosul 's governor Hasan Pasha al-Jalili, from the Nestorian Jalili family, and withdrew in A.D. 1743. To reward the Christians for their bravery, the Jalili governor permitted many churches in the Mosul region to be restored. Since the 17 th century, churches in Baghdeda, such as "Mother of God" and "Mar Youhanna" had schools teaching math, science, language, and theology. Today, there are many churches in Baghdeda including the "Mother of God," "Mar Zina," "Mar Sarkis and Bakus," "Mart Shmoni and Her Seven Children," "Mar Giwargis," "Mar Youhanna," "Mar Yakoub or Mar Andrius," and "Mar Theodorus." The town has many monasteries as well, including "Mar Youhanna Dailamaya or Mqortaya," "Mar Qoryaqos," and "Mar Bihnam." Next, the governor sent his son to Constantinople ( Istanbul ) to meet with the Ottoman Sultan Mahmud I. The purpose for the visit was to ask the sultan for a reward for saving Mosul . The sultan issued an official firman in A.D. 1778 and paid Hussein Pasha al-Jalili 800 Qirsh to buy the village of Baghdeda . The people of Baghdeda were very upset because someone who did not own it had given their village away so easily. They met and decided after long deliberation to abandon the village. When al-Jalili heard the story, he felt guilty somehow and decided to return the ownership of the village to its rightful owners. He issued a decree in 27 Dhi al-Hijja, 1156 Hijjra (A.D. 1778) in which he relinquished his ownership to Baghdeda, however, he kept his rights to receive the tenth of its produce in taxes. This continued until Ayyoub al-Jalili headed the Jalili family. He tried to enforce the Sultan's original firman; however, the people of Qara Qosh, as it was known at this time, fought with the help of Bihnam Bounni, who won the case in Mosul courts in 1920 and traveled to Istanbul and won the case there in 1923. Nevertheless, Ayyoub al-Jalili and the Jalili family returned again and tried to claim ownership of Qara Qosh. On November 21, 1949 , judge Moslih al-Den al-Salhani rewarded Qara Qosh to the Jalili family. The people of Qara Qosh applied a petition to the Iraqi government in which they explained the whole history of their village and ended the petition with permission to leave Iraq if the government did not return ownership of the village to them. The courts looked into the matter one last time and on March 15, 1954 , rewarded the village to the rightful owners, i.e. the people of Qara Qosh. In their literature and writings, the Assyrians of Baghdeda remember vividly the raids of the Persians and Kurds on their village and churches. For example, in 1171, according to Abdal, while the governors of Mosul and Damascus were fighting each other, the Kurds used the opportunity and attacked Mar Mattai. According to Ibn al-'Abri (Bar Hebraeus), Fiey writes that in 1261, the Kurds came down to Mosul and killed many Christians who refused to follow Islam and looted their homes and churches. The Kurds then occupied the monastery of the Nuns (Deir al-Rahibat) and killed many of the nuns and many others who have sought refuge in the monastery. In A.D. 1288 , and according to the 12 th century Bar Hebraeus, a battle took place between the Kurds and Tatars near Baghdeda. With the end of the battle, the Kurds chose a dozen of the bravest and best looking young men from the village and killed them to show their strength and secure their presence around the region. In A.D. 1324, Baghdeda is attacked by Kurds again and many homes and four churches were burnt. In (1742 – 1743) the Persians and Nadir Shah plundered and looted the whole region of Mosul wilayet, including many Christian villages. More recently, the Assyrian town of Baghdeda alone gave about 6000 martyrs during the Ba'ath regime's conflict with the Kurds, especially post Iraqi - Iranian war during what became known as " Anfal" operations of 1988. There is a lot of interest in the archaeology of Baghdeda (Qara Qosh) today. It has many Assyrian archaeological remains, like those of tell (mound) Bashmoni (Beth Shmoni), tell Mqortaya, tell Karamles, tell Mar Bihnam and others. These mounds must be fortresses, temples, or buildings that belonged to the Assyrian capital of Kalhu (Nimrod). Throughout 1922, 1927, and 1935, excavators found gold pieces, cylinder seals, and they found an Assyrian statue in a well in the church of Mar Zina, which is displayed in Mosul Museum . In 1942, an Assyrian bathroom and several graves were found near the church of Bashmoni . Furthermore, during the 1980s excavations in the grounds of the Church of Mar Youhanna ( Saint John ), archaeologists found human remains inside graves in the eastern side and at a depth of one and a half meters. These graves were built with typical Assyrian large sized rectangular shaped bricks. Additionally, references to Athur ( Assyria ) continued in texts from Baghdeda. Mapharian Athanasius Ibrahim II of Tur Abdin visited Tikrit, Baghdad , and Arbil to attend to his congregation. According to Afram Abdal al-Khouri and his book "al-Lu'lu' al-Nadheed fi Tareekh Deir Mar Bihnam al-Shaheed (The Layers of Pearls in the History of the Monastery of Martyred Mar Bihnam), 1951, p. 219, Sony writes: "in 1365, the mapharian came to Athur or Mosul and was welcomed by Nour al-Din the Chief of Baghdeda …" (Sony 1998, 699). Lastly but not least, according to Mar Bihnam monastery archives, Sony writes that in 1294 – 1295, a certain king "came to Lower Athur, the city of Saint Mar Bihnam …" (Sony 1998, 95). Furthermore, the modern town of Baghdeda is being used as a basis for the Virtual Ancient Mesopotamia simulation. This town has roughly 3,700 agricultural fields cultivated by 1,000 households. Working with the University of Chicago 's Oriental Institute, John Christiansen is using a complex adaptive systems approach to create an ancient Mesopotamian village circa 2,500 B.C. Mesopotamia , the land that was between the Tigris and the Euphrates rivers, relied on irrigation to grow crops. However, the irrigation eventually turned the soil toxic making it unable to support crops. Eventually the civilization disappeared leaving information – including that of the poisoned fields – on cuneiform tablets. Although agriculture is an important part of the Baghdedis, the town is famous too for its herbal and root based medicine, in addition to wool and leather making, carpentry, and metal crafting. Jewelry is popular always since antiquity, just as in many other villages in Iraq , as it is witnessed in many of the remaining monastic and church items. Additionally, archaeologist Mr. Abd al-Salam Sim'aan al-Khdedi has completed finally a study about the historical background of the village of Baghdeda . He is a graduate of the College of Literature , Archaeology Dept. in Mosul University 1973. Al-Khdedi has been working for the Iraqi archaeological dept. since 1975. In different capacities, he worked with many international groups throughout many sites in Iraq . He worked with Prof. McGuire Jason (University of Chicago) and then Prof. Robert Adams; Prof. Baez (German excavation team); Dr. John Nicholas (British School); Dr. Helka (Austrian team); Dr. Charles Bernie (Manchester University); with other teams from British, German, Polish, and Italian backgrounds; and lastly but not least with the expedition of the British Museum under Prof. John Curtis. Al-Khdedi worked with many Iraqi groups as well, again, in one capacity or another, in many locations at Hatra, Ashur, Ur , Aski Mosul, kharbat Zakaria in Baghdeda, and others. Archaeologist al-Khdedi states that there are at least fifteen archaeological sites in Baghdeda, most importantly are Tell Yatha and kharbat Zakaria. These two sites are very important because they indicate that settlements in Baghdeda date back to the sixth millennia B.C., starting with the Hassuna, Ubaid, and the three Old, Middle, and Neo-Assyrian periods. Furthermore, and during preparations for the eastern al-Jazeera irrigation project, al-Khdidi was part of much work in 1986-1987. The project required archaeological excavations in various Baghdeda locations such as Jammikyatha, Tell Mansour, Mqortaya, Bashmoni, Sarkis, Bakos, khara'b Franso, Qasha, Jaddad, Habash, Dinha, and other well-known archaeological locations around Baghdeda such as Tall Ghanam, Barbara, al-Sawwan, Bashbeta, Blawat, Sheik Amir, al-Msulli and others. All the above excavations have strongly proved a continuous settlement in Baghdeda for almost eight millennia. 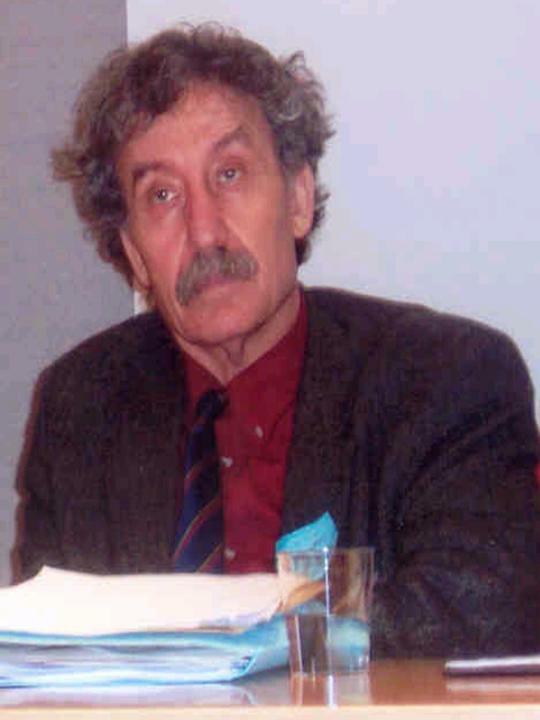 In his study, Archaeologist al-Khdedi relied on many references, including archaeological, historical, geographical, cultural, architectural, and linguistic. All these aspects, he states, prove beyond doubt the rooted history of Baghdeda and its people. The people of Baghdeda are indigenous to the region and belong mainly to Assyrian ancestry and background and perhaps to Aramean and others to a lesser degree. Moreover, since people do not disappear with the death of their governments and states rather remain alive and continue to make history and civilization; we are, states al-Khdedi, going to prove that the people of Baghdeda live an eight millennia continuous civilization. Baghdeda is one of the few Assyrian villages in north of Iraq (Assyria) that have remained almost purely Assyrian. Assyrians around the world must give special attention to this amazing village (or more accurately town) because of its unique status. 1. Dr. Fr. Bihnam Sony. Baghdede: In the Syriac, Garshuni, and Arabic Texts from the Beginning of the 7 th Century to the End of 19 th Century Rome : 1998. 3. Bar Hebraius. Syriac Civic History . Arabic edition. 4. 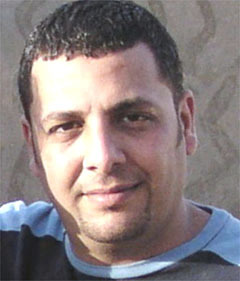 Habib Hanona. The Church of the East in the Nineveh Plain . 1992. 7. Geoffrey Khan. The Neo-Aramaic Dialect of Qaraqosh . Brill Academic Publishers (October, 2002). 8. 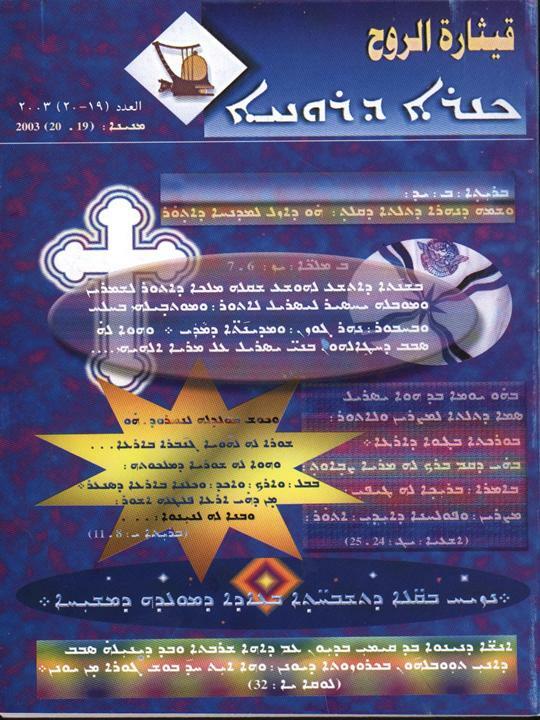 An-Nahar Newspaper, Issue October 1, 2002 . Lebanon . In his The Good of Marriage, St Augustine discussed the values of marriage: fidelity being the faithfulness inherent in mutual love of spouses that involves sexual love and a commitment to love and trust; offspring whose parents accept them in love, nurture them with affection, and educate them in “love and compassion”; and sacrament that signifies the unity of God. The creation narrative of Genesis (2:18,24) is the root of the sacredness of marriage. The Lord God said: It is not good that a man should be alone... Therefore, a man leaves his father and mother and clings to his wife, and they become one flesh. The White Robed Monks tell us that when a man and woman enter a spousal relationship and discover through their human experience that they are, for whatever reason, unable to maintain that relationship and seek dissolution of that relationship, that very human experience itself is prima facie and exculpatory evidence that the couple had never established, without blame, the marriage bond in faith, being generous and gracious. Faith implies conviction, trust, and commitment. Conviction implies an inner disposition to the truth of love. Trust implies an acknowledgment and acceptance – capability – of God and of oneself to love and be loved. 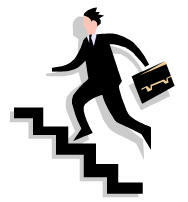 Commitment implies a total self-surrender in active engagement in the service of the Kingdom of God (Catholicism, pp. 929-939). For those of the Roman jurisdiction, the White Robed Monks, out of pastoral concern, cite the following acknowledgment from the Sacred Congregation for the Clergy (April 26, 1971) over the signature of its prefect, Cardinal John Wright: “Conscience is inviolable and no person is to be forced to act in a manner contrary to his or her conscience, as the moral tradition of the church attests” (c.f., p. 991). In Mark 10:2-9, it is clearly stated that marriage is a covenant, a marriage that is both sacramental and consummated and is indissoluble. Yet, Origen (d. 254), who was one of the most distinguished of the Fathers of the early church, taught that divorce and remarriage was a kind of “lesser-of-two-evils” principle, acknowledging that divorce and remarriage was contrary, but not entirely without reason. George M. Lamsa, a native Assyrian, renowned scholar of the scriptures, lecturer and author, was born in 1892 in a civilisation with customs, manners, and language almost identical to those in the time of Jesus. His native tongue was full of similar idioms and parables, untouched by the outside world in 1,900 years. Dr Lamsa (New Testament Origins) on page 98... shows “put away” as the Aramaic shvikta, while divorced is another word shrita.. Jesus was not here making some profound new law against Christian divorce, but merely showing that a man who marries another woman without granting his first wife a real divorce (very easy in Jewish laws of that time) was ethically responsible for his former bed-mate’s supposed bigamy because she was still legally married to him. The eastern church holds the Principle of (Divine) Economy, which is similar to the western church’s notion of dispensation. This principle removes the unintended harshness of a given law. Thus, the eastern church permits remarriage after divorce. The Orthodox-Roman Catholic Agreed Statement on the Sanctity of Marriage (Origins 8/28; December 28, 1978; p. 446f) states: “Marriage (is) the fundamental relationship in which a man and woman, by total sharing with each other, seek their own growth in holiness and that of their children, and thus show the presence on earth of God’s kingdom” (I, par. 2). Although marriage involves a permanent commitment, the statement acknowledges that the orthodox church, “out of consideration of the human realities, permits divorce... and tolerates remarriage in order to avoid further human tragedies” (II, par.2). And that is what I consider “humanity”. Attiya Gamri is an Assyrian sociologist and journalist, who also manages an organization in The Netherlands which assists children and youth with psycho-social problems. She was invited to a conference organized by the AKF in November 2003 in Sweden. 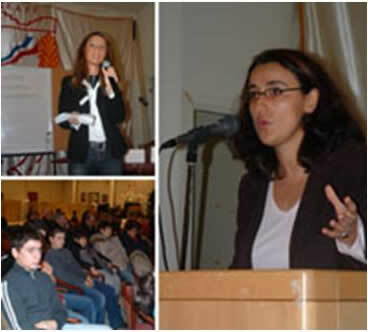 Ms. Gamri discussed her experiences in a lecture titled “The Gap between Generations”. Ms. Gamri included many different perspectives during her lecture. She introduced her topic by mentioning the big step to the new world, when a person arrives to a new country. The journey turns instead to a process, and in many cases leads to a traumatic experience, when fear and shock develop within many individuals. One of the subjects Ms. Gamri discussed was the balance in the lives of the Assyrians, which is guided by different factors including shame, honour, guilt, rumour and sin. 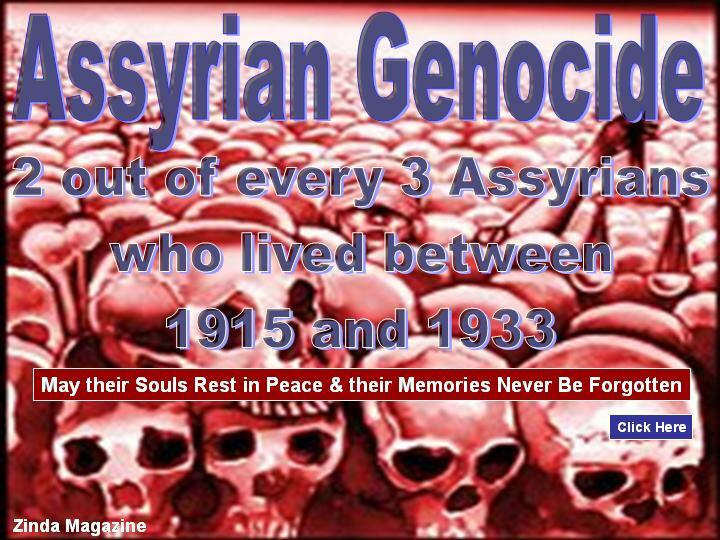 If one of these factors is excluded, then there will be an imbalance because the Assyrians live with these factors even today. Attiya Gamri also had a discussion with a youth-panel, during the lecture and she asked them, what is it that they can tell their parents. A girl said that she thinks that the youth tell their parents the things that makes them happy and proud, and that they do not want to upset or disappoint the parents. This also shows a kind of double standard between the relation of the new and the old generation. "The language is one of the most important things to keep alive," Attiya Gamry explained, that the main thing is to explain to the child why it is important to speak Assyrian at home and with Assyrian friends, without nagging about it. The conference, was also filled with discussions between the youth-panel and the people in the audience, and one of the subject which made some interesting discussion was about the equality between our people in the society, but also in the church. Ms. Attiya Gamri shared her experience and knowledge with the youth-panel, and the audience, and they also exchanged thoughts and opinions about the life of Assyrians, and the gap between the new and the old generation.